When it was time to cook a bread from Chhattisgarh, I had no other choice but to fall back on this one site. I had spent quite some time checking out online if there were resources for Chhattisgarh, however, there is not much information available. This site had a couple of other bread varieties as well. Somehow I decided these pooris made with rice flour called as Chusela, will be much better. This state was also something that was done towards the end of the whole preparation and so I was thinking some states totally lack Indian Bread to boast in their cuisine. 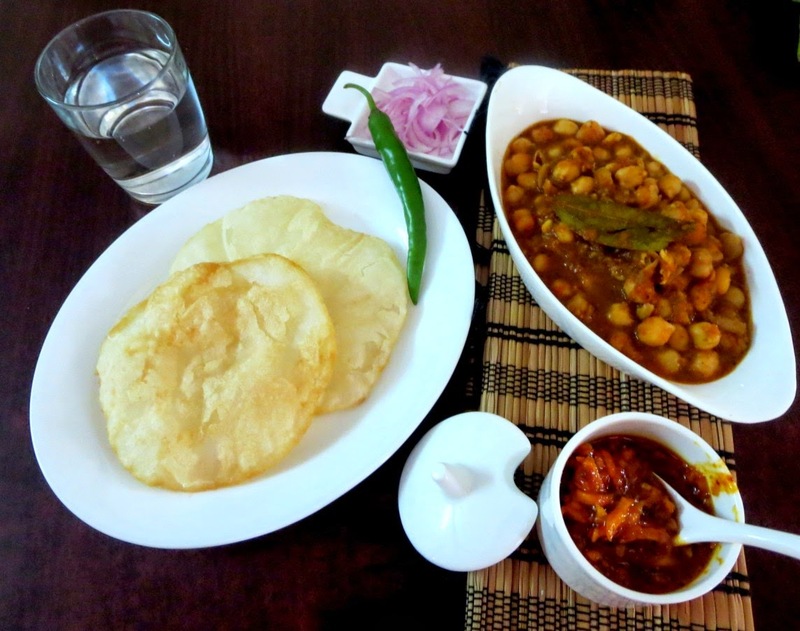 However, this rice poori seems to be found in Kerala as well. 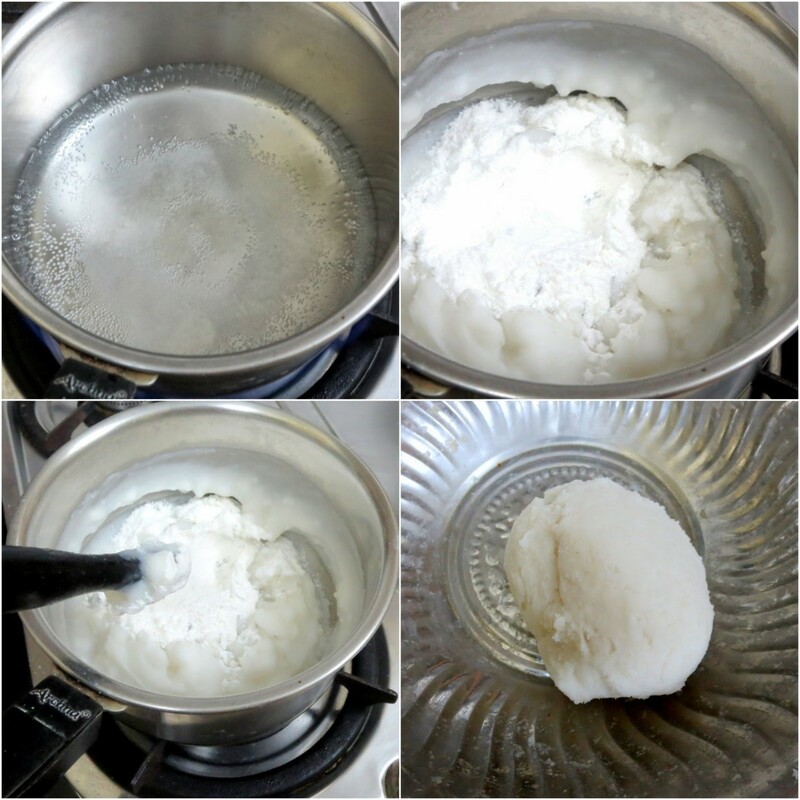 Rice pooris are called as the Poricha Pathiri and the process, the way of making is exactly the same. Looks like some add coconut and shallots to the dough. 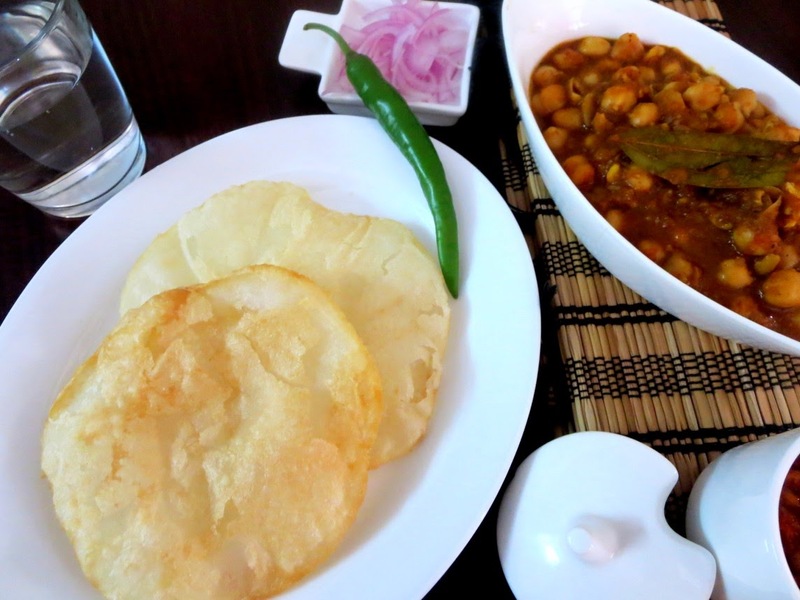 However, the simple basic one is just plain rice flour poori, deep fried in oil, just as what's found in Chhattisgarh. I am unable to understand the link on how states so far apart could have similar dishes. This has happened with another dish as well. More about Pathiris in Kerala post. Anyway for my purpose, it worked out well. And I simply went ahead making these Rice flour Pooris for Chhattisgarh. The side dish that was supposed to be rich was prepared with a vegetable that's not so readily available in our market. So I checked out the Kheksi recipe from the same blog and adapted the recipe with channa. Which was very similar to how we make channa regularly, excepting adding some spices before and after. 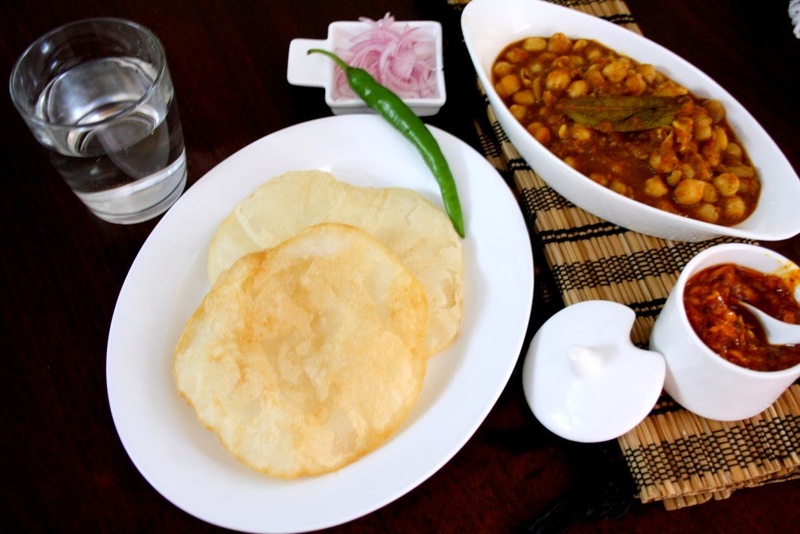 The rice pooris were quite oily but when you eat with Channa, you won't find it so. And I am not sure if these would as such be good over long journeys. Maybe these ought to be rolled out very thick. It wasn't mentioned as such. The regular roti made with rice is called as Angakar and another one where the same dough is pressed between banana leaf and roasted is called Paan Roti. Since Rice Rotis are made in Andhra as well in Karnataka, there was no point in making it. I was left with these fried rice pooris. The similarities among so many states are so interesting! My entire journey reading and observing the food of 30 different states, was more in finding common ground, so that we unite in food as well, and taking pride in the diversity of some dishes that are so different. In a bowl, take the rice flour, salt and add hot water. Mix with a spoon and then knead with hands to a soft dough. Divide into small balls, dust with flour and roll out as pooris. Heat a Kadai with oil and gently slide the pooris to cook on both sides. Serve it hot with pickles or channa as I did. These pooris are supposed to last for 2 days and essentially carried during travels. However when I had made, these were typically very oily, so I am not surely sure if it will stay soft to eat. If you are going to serve these right away, they taste awesome. Wash and soak the channa overnight. Pressure cook to soft. Peel, chop the potatoes into cubes. Deep the aloo and keep it aside. Heat a Kadai with oil, add onion paste, saute till done, then add ginger garlic paste. Add tomato puree and let the mix cook some more time . Add fried potato and channa to the pan. Cook it some more time. Add water and bring to boil. Once the gravy becomes thick, add cumin powder.